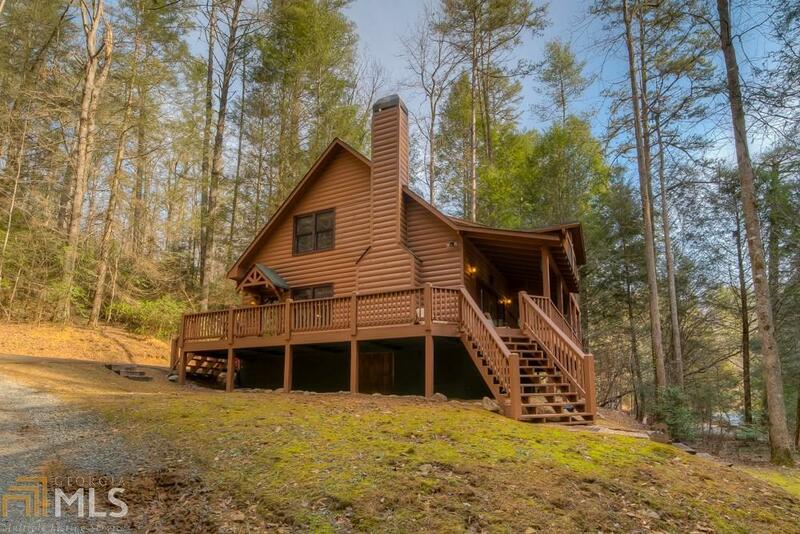 This beautiful fully furnished turn-key cabin sits right on the gorgeous rushing water, complete with large decks, hottub, amazing stone work patio right on the water, fire pit, spacious bathrooms, an open loft which can be an additional sleeping area, upgraded kitchen, washer/dryer, and more. This cabin has recently received a fresh coat of paint and is in great condition. This is a perfect opportunity for you to own a dream getaway, rental investment, or a relaxing second home. Directions: Gps Doesn&apos;t Work Until You Are In The Coosawattee. Go To The Legion Rd Gate Of The Coosawattee. Take Fir Lane To The Right. Gps Works From This Location. Some Gps Systems Will Translate To 571 Falcon Trail.